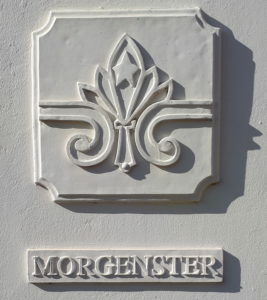 Morgenster is in the eastern reaches of the Helderberg Stellenbosch Wine Appellation. A premium producer of fine olives and olive products, and a range of top class internationally recognised wines. 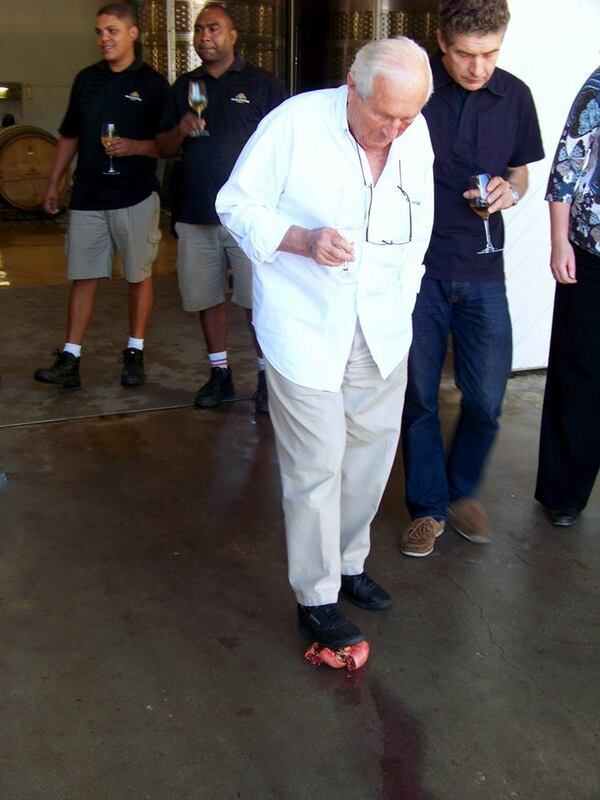 Recently on a visit to the estate, I was introduced to the new wines, and the new ventures in the olive oil business. 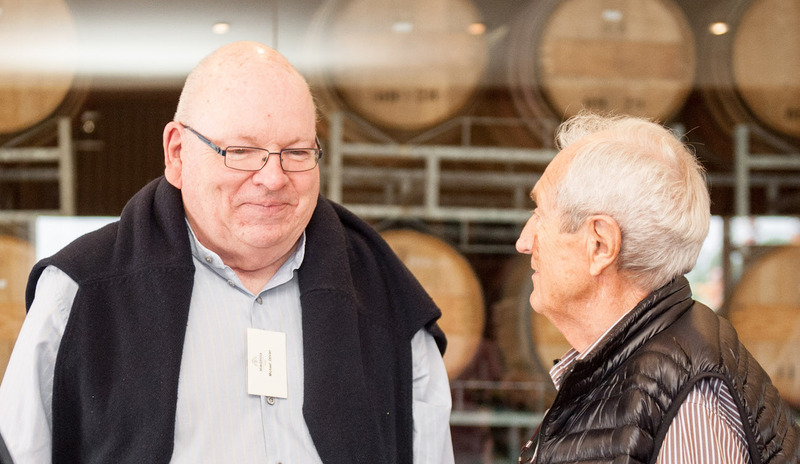 Fortunate to be able to sit with some serious wine writers, I could pick up the subtle nuances of the well trained and experienced noses and palates around me. We were welcomed by Giulio Bertrand, the owner of 25 years of Morgenster. He came from Piedmont in 1992, took ownership of the magnificent estate and set about turning it into a showpiece. Henry Kotze, the winemaker took us through the wines, all of which have been packed in a brand-new livery. 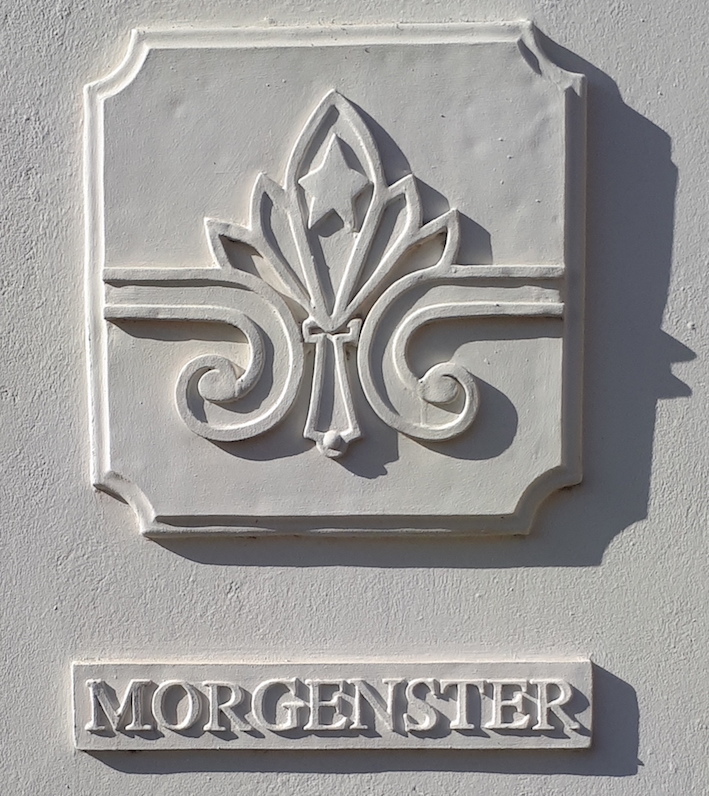 The Morgenster Sauvignon Blanc 2017, was made from grapes grown by contract producers on alluvial soils. There were so many whiffs and flavours coming at me from this perfectly balanced gentle acidity wine, built for sheer enjoyment. Yellow stone fruit, cape gooseberries, rock melon, desiccated pineapple and the best of grapefruit skin oil, all tumble over each other to gain your favour. 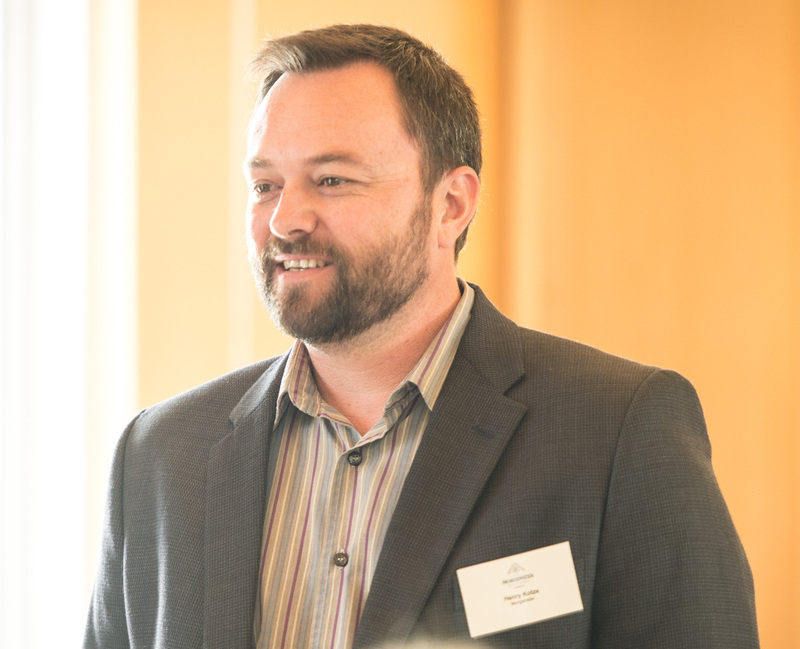 The Morgenster Sangiovese 2017, a renaming, with a new livery, of which Henry Kotze says, ‘Think of it as Morgenster’s version of Chianti. The wine does not spend time in oak barrels. Gem bright ruby wine with a generous fruited nose, Ribena, red and black berries and cherries. Tastes of mocha, marzipan and vanilla in undertow. Cashmere tannins well interwoven with the fruit, acidity and a long ‘different’ ‘exciting’ ending. Made for younger drinking up to two years after vintage. The Morgenster Caruso 2017, one of my favourite Italian grape Rosés, is made from Sangiovese – the blood of Jove. Named for the famed Italian Tenor, Enrico Caruso, the wine comes in a clear bottle, with a classy pink screw cap. Picked at three different times in the ideal ripeness window to give a breadth of flavour. There are cherries, herbal infusions, spice in the big ‘volume’ of this wine. Sweet meaty, toffee and as one of my fellow tasters pointed out a nutty retro nasal aroma. Yes. 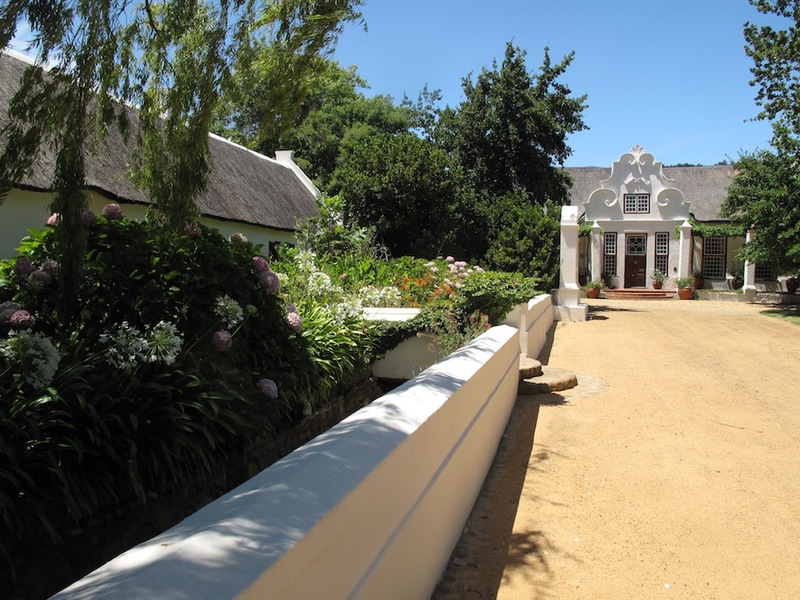 The fifth vintage of the elegant concentrated Morgenster White Reserve is the 2015. The label has been tweaked. The Sauvignon Blanc [55%] grapes come from decomposed granite slopes of the Schapenberg within sight of the cellar and the Semillon from old vineyards on riverbed soils. 20% new oak was used for the maturation while the remainder was made up of older barrel, some up to 8 fills. Aromas and flavours beguiling. Melissa, jasmine flowers and ripe white fleshed peaches precede a fabulous mouth full of generous fruit. There are pears, desiccated pineapple, cling stone peaches with a lovely squirt of citrus in the ample tail. The Morgenster Tosca 2014 is a Sangiovese [75%] led blend with equal quantities of Cabernet Sauvignon and Merlot making up the reminder. This is Morgenster ‘Super Tuscan’ with a new tweaked label. The thin-skinned Sangiovese, which was matured in previous fill barrels, comes from a 1.8ha of vineyard on the estate. The Cabernet and Merlot, also from the farm spent 18 months in new oak, the blending taking place after the maturation. Lovely spice and savoury flavours from the Sangiovese with the Cabernet adding elegance and gravitas and the Merlot the perceived sweetness and plums. 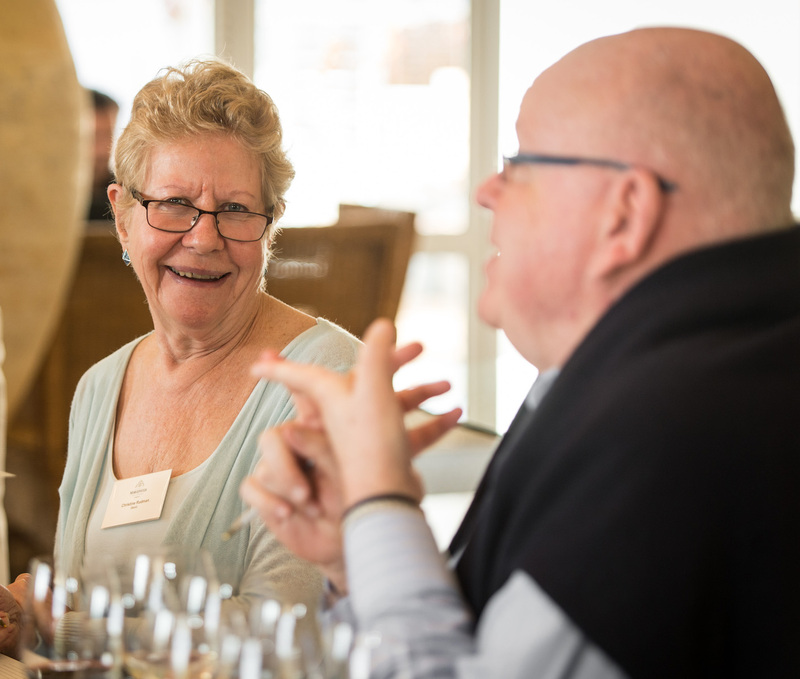 This wine is a gem – different flavours to those to which we are used. Silken soft tannins so well interwoven with the fruit, the acidity and the lovely satisfying long tail. Christine Rudman to my right said ‘Wild boar and mushrooms’. The grapes for the Morgenster Nabucco 2014 come from the Estate’s first certified single vineyard. 1.6 ha of fine Italian clones of Nebbiolo. Henry Kotze told us that Nebbiolo likes a cool site, Nebbia is Italian for fog, with poor sandstone, shale soils. Needs to be nannied in the vineyard and at pruning needs careful attention as it fruits quality from the 5th or 6th spur. The grapes come from the cool mountainous regions of Northern Italy. With so few wines of this variety made in South Africa, it sets a high bar of standard. Fynbos herbs and sweet brown spices support the tangy red cherries, strawberries and the gentle dryness of pomegranate. Again, the tannins are present in silken form in an amazing array of flavours in the ending. The Morgenster Lourens River Valley was the first red wine I tasted from Morgenster about 20 plus years ago when Giulio Bertrand and his then winemaker came to see me at my restaurant in Cape Town. I was so captivated by the wine I listed it immediately and it has had a special place in my heart ever since. Morgenster Lourens River Valley 2015 is a Merlot led [47%] with Cabernet Franc [34%], Petit Verdot [12%] and Cabernet Sauvignon [7%], the Merlot adding its fullness and ‘sweetness’, the Cabernet Franc with its herbaceous fruit to the nose, the Petit Verdot gives for the lovely colour and the candied purple violet flowers from Toulouse. More approachable and fruitful than the Nebbiolo after its 18 months in French oak barrels, 20% of them new. The Queen of Morgenster is the Morgenster Reserve 2013 which appears this year under new livery an of which Henry Kotze modestly says ‘this is the Morgenster Reserve, so expect nothing less than amazing.’ Wrong he is not. Henry feels this will go another twenty years, so a case would be a great 21st birthday present for your godchild. While the varietal blend differs at each vintage, this one is made up of 39% Merlot, 30% Cabernet Sauvignon, 18% Petit Verdot and 13% Cabernet Franc, a right bank Bordeaux style blend so loved by the Estate’s Bordelaise consultant from Chateau Cheval Blanc, Pierre Lurton who was much missed at this year’s presentation. Generous fruit on the nose, the cassis, blueberry, marzipan, mocha all repeated on the mouth filling elegant palate. Tannins, fresh fruit, oak, acidity, spice all make this a truly regal wine. What a privilege to drink it.